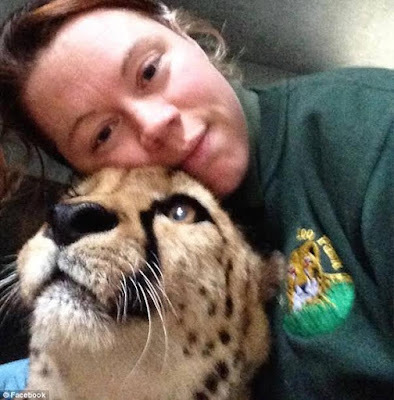 A 33-year-old female zookeeper was mauled to death by a tiger she loved during a 'freak accident' at a British Zoo on Monday morning. This led to total panic and the evacuation of tourists. 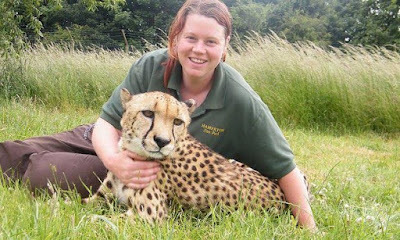 The victim has now been identified as Rosa King, who served as the zoo's carnivore keeper. According to the reports of Pete Davis who witnessed the incident, King was attacked when she rushed into the tiger enclosure to help a colleague but the tiger turned on her and mauled her to death while her colleagues tried unsuccessfully to distract the big cat with buckets of meat. There are reports that King had worked at the zoo for about 14 years and really loved that tiger. 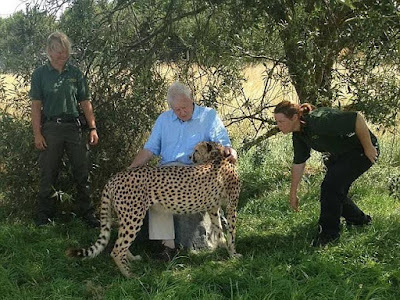 A relative of the zookeeper told The Sun that King loved the animals and would sometimes walk in the cheetah cage and play football with them. "There's no doubting it was a girl's scream and something terrible had happened. It sounds like a tiger turned on her. She had run into the enclosure after hearing one of her colleagues shouting and moments later all hell let loose. She let out a blood-curdling scream and then another keeper ran out and shouted: "run". It was a case of total panic. There were keepers rushing about throwing buckets of meat to try and get the tigers under control." Carpenter Mr Davis, 55, who was at the small zoo with his family, said he saw zookeepers with their heads in their hands. People were really scared and visitors were asked to leave immediately after. More than 100 visitors were evacuated from Hamerton Zoo in Cambridgeshire and police and paramedics rushed to the scene at 11:15 a.m. yesterday. Visitors at the park took to Facebook to describe what happened. One Victoria Northover Homes said they had to go into hiding when they heard the blood-curdling screams because they thought a tiger was loose. 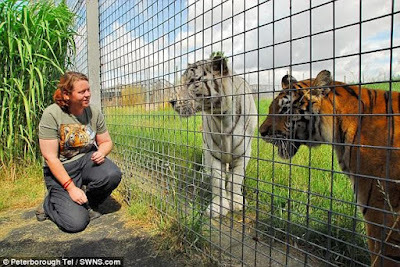 She added that she was taking photos of the tigers in the field then they came directly to the fence. At this point, some of the keepers came running down the hill towards the next tiger enclosure. She and other visitors didn't know what was happening but the keepers looked worried. she carried on walking down the hill towards the next enclosure when she heard someone shout "run". A group of them ran into the keepers' rooms for about ten minutes until a keeper said they could leave. "At this point, we understood by the reactions of the staff that something was going on inside the enclosure. We could see staff members on the other side of the fence with pieces of meat trying to get whatever's attention. It was heartbreaking seeing them trying to help," Homes said. A zoo spokesman last night said staff were 'too distressed' to talk to the media. "This appears to have been a freak accident. A full investigation is under way and we hope that more details can be announced as soon as we are able. At no point during the incident did any animals escape their enclosures, and at no point was public safety affected in any way. All our thoughts and sympathies are with our colleagues, friends and families at this dreadful time." "She wouldn't have done anything else, it's what she has always done, it's what she has always loved." Cambridgeshire Constabulary confirmed the tiger has not been harmed but said the investigation was now being handled by the licensing authority Huntingdonshire District Council. 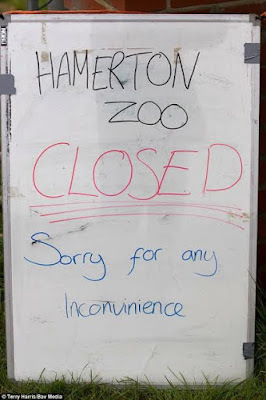 The Hamerton Zoo has now been closed. The zoo said today that it would remain closed while an investigation was conducted.